Cannot be combined with any other offers, promotions, coupons or discounts. One coupon per service call. Only valid for location listed on coupon. Only valid for service listed on coupon. Reddi Services is committed to ensuring that your privacy is protected. Should we ask you to provide certain information by which you can be identified when using this website, then you can be assured that it will only be used in accordance with this privacy statement. 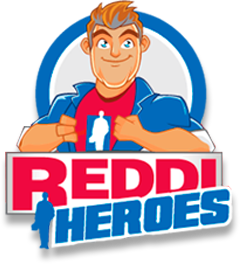 Reddi Services may change this policy from time to time by updating this page. You should check this page from time to time to ensure that you are happy with any changes. This policy is effective as of Jan. 2012. To contact you for service or to schedule a service. We may use the information to improve the website according to your comments.